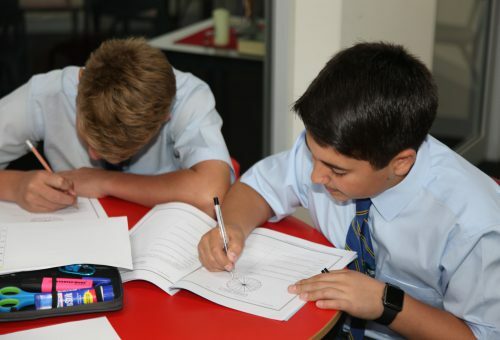 As part of St Patrick’s College’s overall commitment to the education of every child, the school has developed a strong learning support team that offers support in both the junior and senior years. Specialist teachers and teacher’s aides assist students with diverse learning needs across all Key Learning Areas enabling students to access the curriculum and to achieve to the best of their ability. This support can be delivered through team-teaching or in-class assistance or alternatively, where appropriate, students are withdrawn either individually or as part of a small group to further develop specific skills and content knowledge and understanding. The team works closely with students, their families and external clinicians together with the Curriculum, Pastoral and Counselling teams to identify and support students with additional needs. Effective communication ensures that students are grouped appropriately and through ongoing collaboration, differentiated teaching strategies are embedded across all faculties to ensure all learners achieve success in a supportive and inclusive environment. The school has an extensive referral system and students with additional needs can access a range of professional services which include a Speech Pathologist, Itinerant Specialist teachers and Counselling Services.